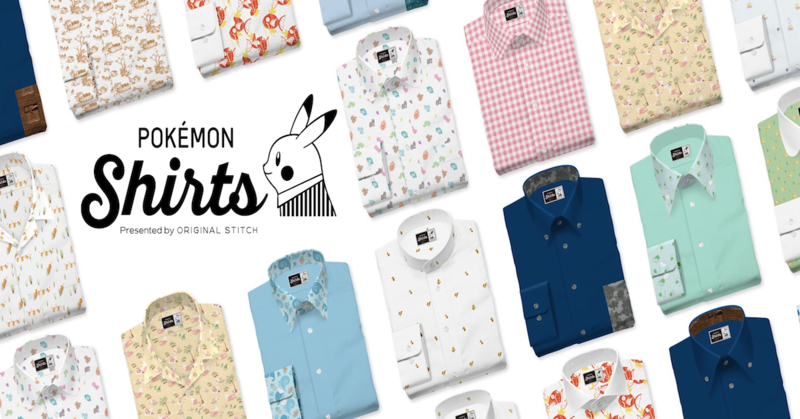 Adhering to your organization’s dress code has never been fun – well, not until Pokémon’s release of their official shirt collection which allows professionals to wear ‘em all, to say the least. Recently, a Japanese apparel label, Original Stitch has teamed up with the popular anime/video game franchise to come up with a brand spanking new line of really cool dress shirts. The shirts are designed to look normal on the surface, but a closer look reveals their Pokémon based patterns. Besides that, Original Stitch is offering to make custom shirts featuring any of the 151 original Pocket Monsters from the Kanto region. One can also choose to have the patterns printed on pockets, cuffs, the entire shirt and collar trim. The nerdily stylish dress shirts, priced at 10,000 yen (RM376) a piece. Original Stitch officially starts taking orders through the official Pokemon Shirts website in late February. Which design would you get? Let us know down in the comment box below!